When you need a plumber in Macedon, look no further than GT Campbell Plumbing. We offer comprehensive plumbing services in Macedon and throughout Monroe County and the Rochester area, and we are proud to be one of the most preferred plumbing companies in the state of New York. Installation, repair and maintenance of water, gas and sewer lines. Installation, repair and maintenance of plumbing fixtures. Water heater installation, repair and maintenance. Installation of rain water tanks, sump pumps and outlet points for appliances like washing machines and dishwashers. We pride ourselves on providing reliable and affordable solutions for all types of plumbing projects. There are some truly great advantages of choosing us as your plumber in Macedon. All of our plumbers are highly trained and have decades of experience. They are also certified, licensed and insured, and they are committed to treating you and your home with the utmost care and respect. We also offer some of the lowest rates in the area. We believe in helping as many customers as possible, and we do that by offering prices that are affordable on nearly any budget. Before we begin the job, we provide honest upfront pricing to ensure that there aren’t any unpleasant surprises when it comes time to pay the bill. GT Campbell Plumbing is your best choice for plumbing services in Macedon, New York and the surrounding areas. Whether you’re in need of pluming installation, repair or maintenance, you can count on us to get the job done right at a price you can afford. Whether you’re dealing with a minor plumbing concern or a major plumbing dilemma, issues involving your home’s plumbing should always be taken care of immediately. Even the most minor problem, like a faucet that won’t stop dropping, could turn into a much larger one and end up costing you a lot of money in the long run. Homeowners should always be proactive when it comes to taking care of their plumbing to prevent future damage and additional expense. 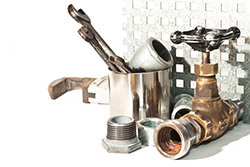 Your plumbing is one of your home’s most vital systems. It’s responsible for bringing water into your home and removing waste, and when it isn’t functioning properly, you could have a major problem. A plumbing disruption could prevent you from having access to clean water for drinking, cooking, cleaning and bathing, or it could cause waste water to back up into your home. 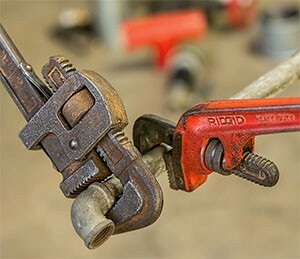 Our team of licensed plumbers is equipped with the proper tools and have undergone extensive training to ensure that they can handle any type of plumbing repair project and get the job done right the first time, every time. Whether you’re facing a minor plumbing inconvenience or your battling a full-on disaster, the plumbing experts at GT Campbell Plumbing can help. We have more than a decade of experience, and we offer honest upfront pricing. We’re committed to treating you and your home with the respect you both deserve, and we are proud to be your best choice for plumbing repair in Macedon.